The carcass of the plane lay strewn across the ground, gnarled sections spread around like a jigsaw puzzle. This scene played through my mind as I thought about the destruction that I had perpetrated upon my own family by my unfaithfulness. I tried to imagine the daunting task of putting the pieces of my marriage back together in the wake of the affair. Aviation investigators often reassemble the fragments of a crashed plane to try and discover the cause of the crash. In some cases they are able to restore nearly every scrap to its place. Of course, the finished product looks nothing like the original. Not only is the whole greatly marred, but upon close examination, even the pieces have great defects. Likewise, the task of restoring a marriage is multifaceted. Though each case is unique in some aspects, I have found — through counseling, reading and interaction with others — that similarities abound. For us, healing began at our church door. Apart from our Christian fellowship and God’s guidance, I honestly believe that we would have become one more casualty. Elders and friends gathered around us like a protective mother hovering over her wounded offspring. I can recall very clearly some of the major interventions, and many minor ones along the way. Numerous Christian friends upheld us in prayer. Initially, we sought professional counseling. From there we turned to literature. Some helpful titles were: When Good Men Are Tempted, Surviving an Affair, When Godly People Do Ungodly Things, and Love is…. I was fortunate in my job to be off during the summer. Being together 24/7 was extremely difficult for my wife and me, but it was also a tremendous catharsis. I cannot count the hours we spent together reading, discussing and crying. We have a trampoline in our backyard, under an oak tree. We spent many summer afternoons lying there under God’s canopy, seeking to knit our lives back together. I rarely went anywhere without my wife — and when I did, I carried a cell phone and made sure that I was with someone who could verify where I was. Later, the Lord provided a timely job opening for me. I was able to relocate and remove myself from the presence of the other woman. Being an “isolationist,” I had to force myself to seek solid male Christian fellowship. Daily I am in the Word. Prayer has become paramount in my life, both as a weapon of war and an oasis. Wednesday night prayer group at our church has been a healing balm. The last thing I do before I sleep at night is take my wife in my arms and pray. Our daughter made arrangements for us to renew our wedding vows in Maui, Hawaii. With the sunset as our backdrop in McKenna Cove, my wife and I promised our faithfulness, as we had done 20 years earlier. We honeymooned at Snoqualmie Falls when we returned. Like the shattered plane, some pieces have been put back into place. However, sin comes with a price, and our marriage is forever changed. Restored sections lack the original luster and many scraps still litter our lives. The reconstruction has begun. The process is a lifelong commitment. 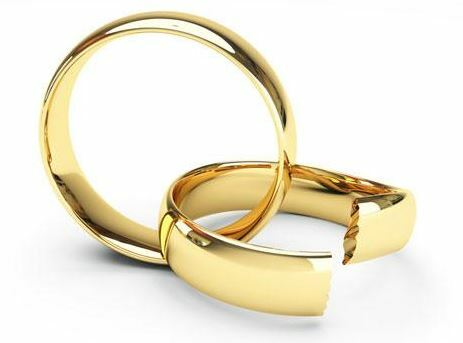 Despite the fact that 93% of Americans rate having a happy marriage as one of their most important objectives in life, a disappointingly high percentage of marriages fail in divorce and half of all divorces will occur in the first seven years of marriage. Copyright © 2004 John E. Paul. Used by permission. All rights reserved.